I've started a little blog on Word Press called appropriately, Superversity. The blog will be devoted to Superheroes, Men and Muscle. The manimal aspect will stay here at Mythulinity and this blog will become quite circumspect and abbreviated. The glory days of huge posts have passed until I can purchase more image file storage space from Google in early June. 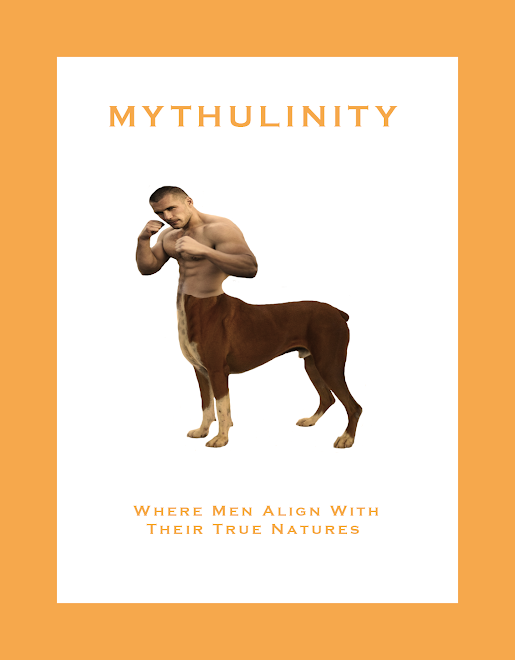 Still, even when Mythulinity is back up and running, it will be considerably constrained from my previous output. Since there is relatively little quality manimal material available, that fact will force me to reduce the scope of the blog. Yet, I still want to remain true to the original concept and deal primarily with manimals and not go off theme to pad the blog so much. Establishing 'Word Press: Superversity' provides me with the means to focus on my other loves of superheroes and the male form. What had been happening in those regards on Mythulinity will now happen there instead. So please come on over to Superversity---a combination of super from superhero and "versity" from university funnily enough creates an entirely apropos new term. And when I upgrade Mythulinity come June, I'll let you know. oh, I'm following. love what you're doing. Bummer about the storage space issue. Gotten to be a highlight of my day after coming home from work.